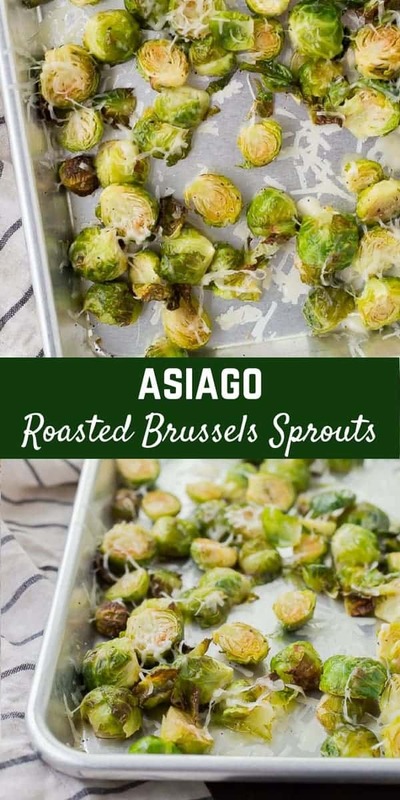 This Roasted Brussels Sprouts recipe isn’t like every other – the addition of a bit of nutty Asiago cheese sets it apart from the rest! Michigan winter seems to have arrived — we’ve had a couple (very small) snowfalls and I’ve started bundling up the kids. Dressing the kids in 43,910,103 layers might be the most annoying part of winter, am I right? Technically I guess it’s still fall, but Michigan has never been the best at not blurring the lines between seasons. Thanksgiving is less than two weeks away (insane! ), but I’m already ready to move on to Christmas. We got a super tall (artificial) Christmas tree last year and I’m itching to get it back up this year. There aren’t many material things that bring me more joy than a 9-foot, beautifully lit up Christmas tree full of handmade ornaments crafted by my children. I am excited to host Thanksgiving again this year, but what I’m really eager for is that tree. However, first things first….I suppose. This year for Thanksgiving I think it’s just going to be my parents, Ben’s parents, and us. So, a pretty small group. I usually manage to roast a few vegetables while the turkey rests (I can’t help myself! ), and I’m thinking this roasted Brussels sprouts recipe needs to be on the menu this year. 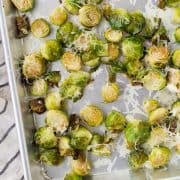 Last year, I made Gina’s Brussels Sprouts Gratin and it was a huge hit, but this year I think I want something a touch lighter and these are just the thing. If you’re asking yourself, “What do you put on Brussels sprouts?” I have the answer. It’s CHEESE. The mild nuttiness of Asiago cheese, in particular. It’s a match made in roasted vegetable heaven. 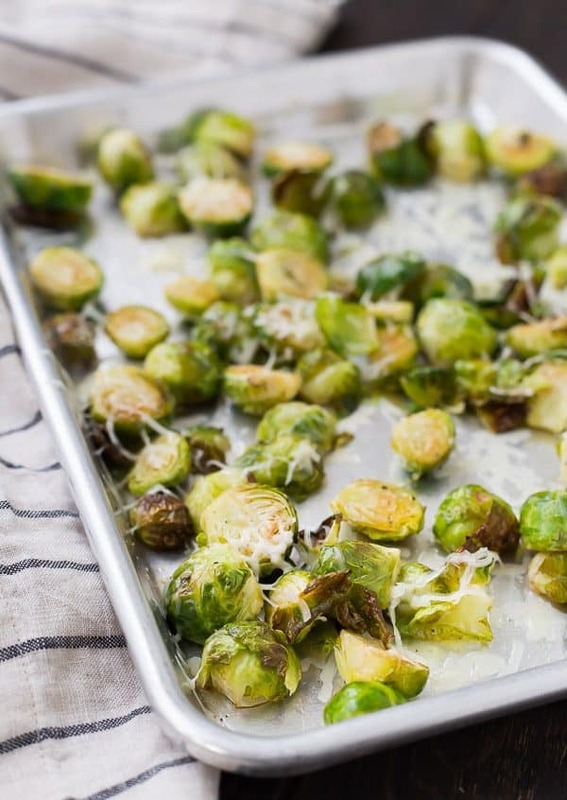 The best thing about this roasted Brussels sprouts recipe is how easy it is. Honestly, that’s my favorite part of most of my recipes, and this one is no exception. Roast and sprinkle with cheese. And you’re done. 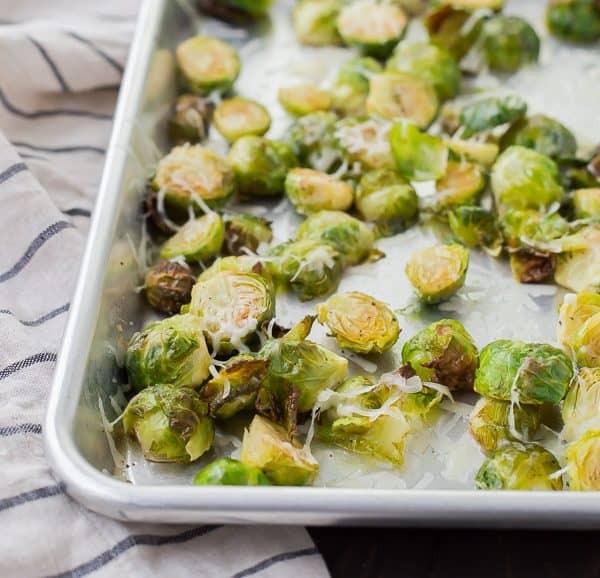 Make sure your Brussels sprouts are dry before roasting – this will ensure they get extra crispy! 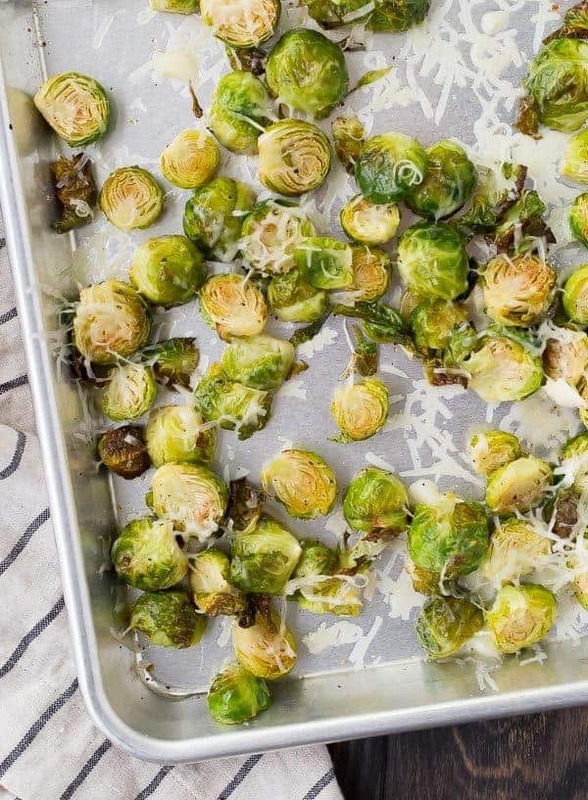 If leaves fall off the Brussels sprouts, make sure to include those on the pan as well! They’re actually my favorite part – they get unbelievably crispy and taste like chips! You all know I’m a roasted vegetable addict…if you want more recipes like these roasted brussels sprouts, make sure to check out my entire list of roasted vegetables (there are a few other goodies on the list, too!). PS: Not sure how to trim Brussels sprouts? Trim the woody stem off – you don’t need to cut a lot off, just enough to freshen up the end and get rid of the super hard part. All it usually takes is about 1/8- to 1/4-inch. Peel back any leaves that are wilted, brown or damaged. That’s it! At that point you can wash them and cut them as desired – for this recipe, I cut them in half. I hope you love these! Before you know it, your friends will all be referring to you as Martha Stewart. Toss Brussel sprouts with olive oil, salt and pepper. Spread in an even (single) layer on a rimmed baking sheet. Place in preheated oven and bake for 15 minutes. Toss with a spatula and return to oven for 10 minutes or until golden brown and crisp at edges. 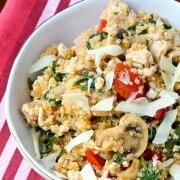 Remove from oven and immediately sprinkle with grated Asiago cheese. Note: These are a bit tricky to reheat since the cheese tends to burn a little when you pop them back in the oven. 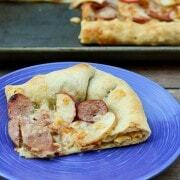 The recipe is easy to halve (just cut all ingredient amounts in half) – I’d recommend doing that. I have eaten these leftover many times, but be prepared for some cheese to get a little extra crispy. Verdict: I could eat these Brussel sprouts like chips. Husband’s take: Ben loves roasted vegetables nearly as much as I do. These were no exception! Changes I would make: None are necessary. 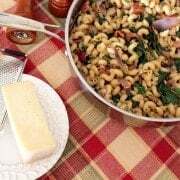 If you don’t have Asiago, Parmesan would be a suitable replacement.